The future of Europe got momentum. 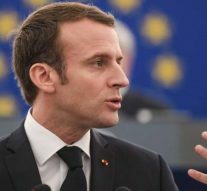 On the 18th of April, the French President Emmanuel Macron hit the floor with a strong statement in front of the European Parliament gathered in Strasbourg. This was not an easy task for Macron: addressing the future of Europe issues in a context of uncertainty and fragile political relations between Member States. President Macron was able to benefit of the uncertainties determined by Brexit, while Brussels might come up under a new positive light, in particular if President Trump continues frightening the international community about the beginning of a possible trade war. Furthermore, after the latest tensions between Moscow and Brussels, the EU is expected to obtain more strength in its foreign and security policy. President Macron presented the so–called “Long Walk for Europe”, an initiative aimed at giving oxygen to the European political dream. The liberal MEP Verhofstadt agreed with the position expressed by Macron. Verhofstadt himself believes in the crucial need of a new and strong Europe. Liberals will not have much time to put in place the programme outlined by Macron: with Brexit approaching, the timetable risks to become even shorter. “We are not living in normal times,” Macron said referring to the “emerging European civil war”. By contrast from what happened at the Sorbonne University in Paris, this speech is extremely realist. In his first speech to the European Parliament in Strasbourg, Macron decided to face the harsh reality without fear of using strong words. The European civil war is approaching fast and triggers deep contrast between North and South, East and West, little countries and big countries – within the historical framework of the rising of national selfishness and illiberal sentiments. As far as foreign relations are concerned, Macron could not help speaking about relations with Russia. Mildly welcomed, President Macron spoke about the need of building a new EU sovereignty able to defend its own citizens. Without directly quoting Russia, he refers to “authoritarian powers”, warning that the only solution the EU needs today is the “authoritarianism of democracy and not a painful authoritarian democracy”, even if today it is more appealing than ever. Finally, Mr Macron talked broadly about the Common Defence Policy, showing off the strength expressed by the EU who spoke directly and with “one unique voice” to Russia during the recent crisis between Moscow and London. With the same approach, trade issues showed a brand–new Europe, strong enough against its own “allies” – namely the US – facing painful tensions between the two sides of the Atlantic ocean. « Previous Article A Civil Economic War Among the EU Member States?